This is Charles from Tampa, FL. Long time no talk. I hope everything is well for you. For me, my daughter just graduated from high school yesterday. She is going to college this fall. Time do fly ;(. I have a son. He will finish high school in a year and I will be free as a fish ;). 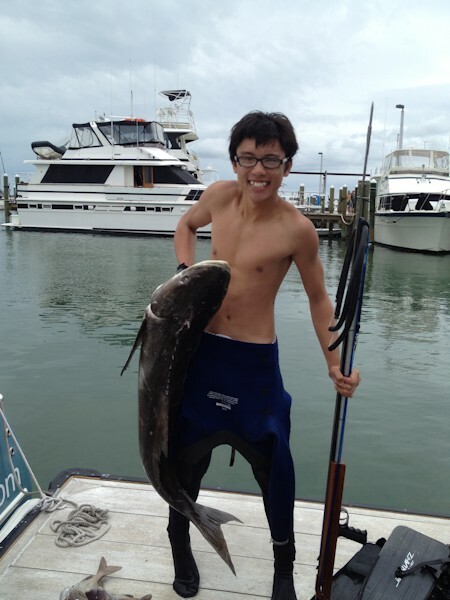 I took my son out for a spearfishing trip yesterday. Always carrying your faithful hybrid. Went down to a 40 feet of water, saw a 300lbs Goliath grouper and all of a sudden, 2 Cobias showed up out of the blue right next to the Goliath. I aimed for the bigger Cobia and squeezed the trigger. First shot and dead on. 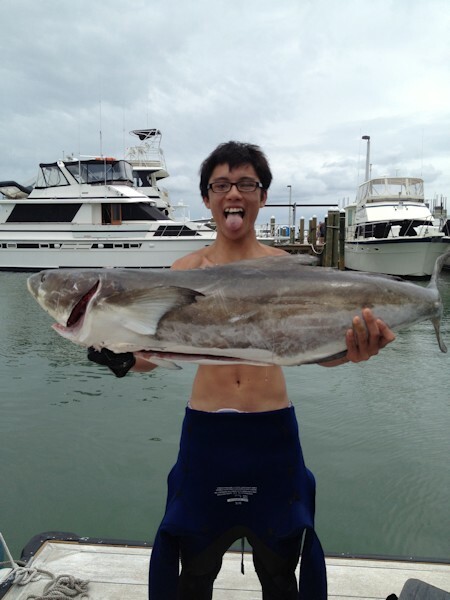 The Cobia took me for a ride. After about 5 minutes of bear hugging him and brained him, I was able to get him up on the boat. It'a a 45 lbs one ! and your gun was just as reliable as ever. Still an awesome gun after 8 years ;). 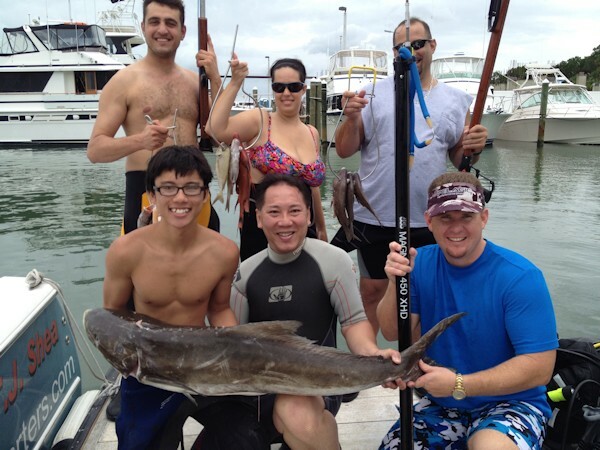 A few of the people on the boat asked about your gun after seeing it slayed the Cobia. I told them about your fantastic gun and your awesome personality and customer service. I hope you will get some business out of them. Anyhow, just want to drop a line to say hi and share the story and photos with you.